All of the technology in Level smart glasses is hidden in the temple. The only thing you’ll notice is how good you look. 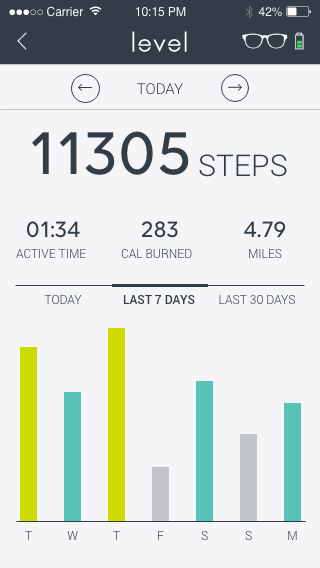 Track step count, distance traveled, overall active minutes, and calories burned. Because Level is centered on your body’s axis, our engineers have designed a step count model that accurately tracks purposeful steps and eliminates non-step movements. Who doesn’t like a little friendly competition? Stay motivated when you connect with friends and family who use Level. Level smart glasses charge in about 30 minutes. A charge lasts about five days, depending on use. The Level mobile app is available to download for free from the Apple App Store and the Google Play Store. The Level mobile app is only accessible when paired with Level smart glasses. 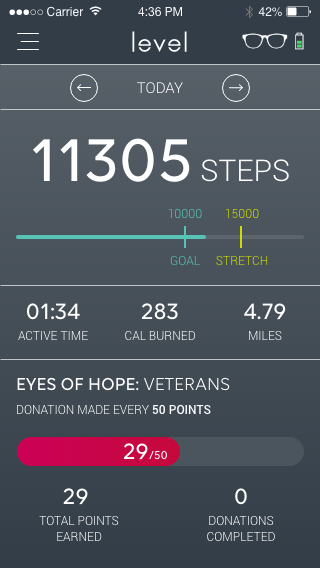 The mobile app makes it easy to keep an eye on your activity. Build momentum toward your fitness goals by tracking your weekly and monthly progress. 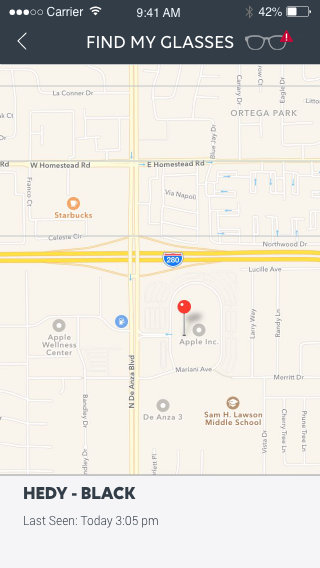 Use the mobile app to locate your glasses.